The trap and hammock is a combination that takes shelter to another level. You take all the poles and excess weight of poles and tents and leave it on a shelf at home. The hammock is a gift for the backpacker. Its also a great piece of gear for the survivor pack. When you think of sleeping in a hammock you might think about summer nights. You might even think about cool spring nights but you will not likely think about cold winter nights. However, its possible to winterize the average hammock for sleeping in the cold. 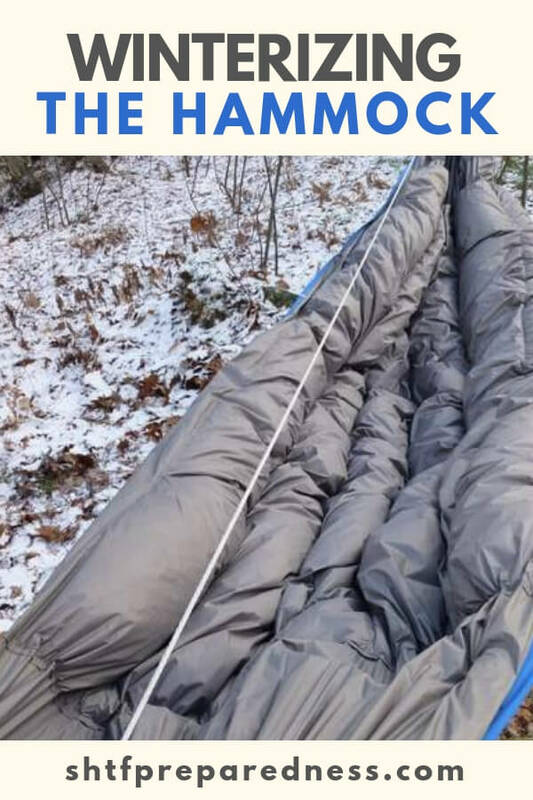 While you will need to add weight to your pack, you can carry a few things that are going to make the winter hammock a piece of reality. You can bring it out by first including a wool blanket in your pack. Now that should be standard fair for most people traveling in the cold. You need a good quality wool blanket if you are going to use this. The wool will not keep you warm enough. Wrapping yourself will help but it will not protect the underside of you against the cold air between you and the ground. A thick sleeping pad or insulated mat should be first laid in the hammock. That will give you a base to start insulating yourself. An emergency blanket comes next. 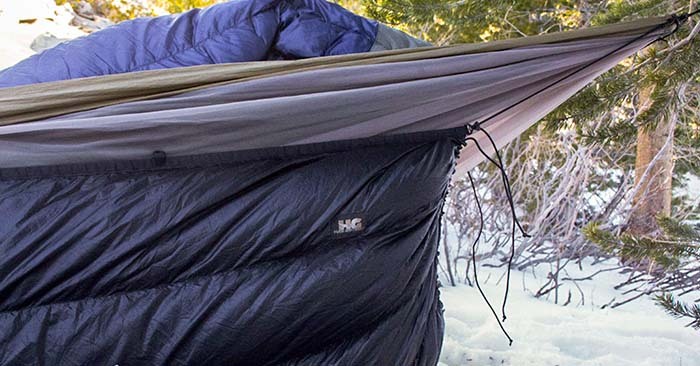 Line the bottom of your hammock with this emergency blanket. You can climb into a nice sleeping bag with your wool blanket or you can even stuff a bivvy sack in that sleeping bag. Either way you are going to be warm in that hammock. The winter is not something that we need to fear. If we have the right things to battle the cold we can exist in it. We can build fires and insulate ourselves in a way that keeps the cold at bay.